Where Is the Real Value in Automated Valuation Models? A handful of organizations offer Automated Valuation Models (AVMs), yet not one is 100 percent accurate. The truth lies in the types of data AVM providers use to generate the AVM. Although most AVMs are readily and publicly available to consumers, real estate agents, appraisers and lenders, they carry distinct disadvantages. 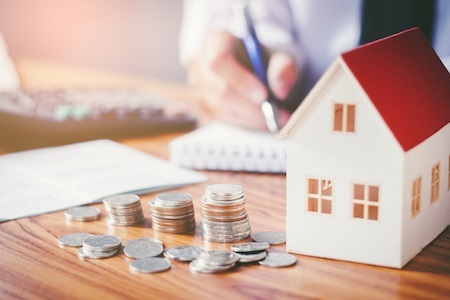 First, without a physical inspection, AVMs do not factor in a property’s condition, and thereby rely on “average condition” scenarios when determining value. In some cases, AVMs include listing information licensed from an MLS, which, in turn, can provide a more accurate representation of comparable on-market properties and information acquired from a prior physical inspection. Yet, according to France, if MLSs are only sharing on-market listings with an AVM provider, rather than both on- and off-market information, the AVMs generated are only painting part of the picture when it comes to the estimated value. “Many things can distort the estimated value of a property, including situations where a property is unusual compared to its neighborhood counterparts, access to off-market data is limited or missing, or you’re working in an area with a lot of new construction,” says France. Perhaps the greatest concern rising from the public dissemination of AVMs is the prevalence of misinformation delivered by consumer-facing real estate websites. Lower values may prompt low-ball offers, used by buyers as a negotiating point, whereas overinflated values create unrealistic expectations among sellers who want every dollar squeezed out of their property. The open-market availability of AVMs, especially to consumers, has become a double-edged sword for REALTORS®, as well. It can be a challenge to counter a seller’s expectations when there’s a 5 percent price variance on the estimate he or she found online. On a $300,000 home, that margin of error can amount to $15,000. To learn more about RPR’s exclusive Realtor Valuation Model®, read the unabridged version of this article. Reggie Nicolay is vice president, Marketing and Communications, Realtors Property Resource® (RPR®). For more information, please visit www.narrpr.com.